With three bedrooms, this spacious townhouse can accommodate your family, that home-office you’ve been wanting, your special crafts room, or whatever your needs may be! You can’t make a bad choice at this price! 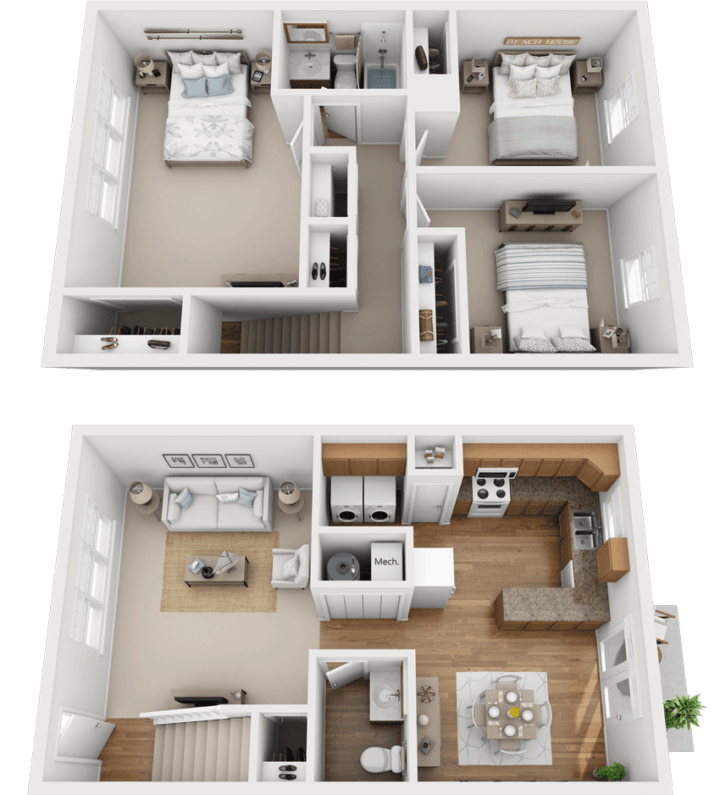 Each unit includes a private patio, eat-in kitchen, washer and dryer hook-ups in every apartment, and plenty of closet space. Call today to reserve yours. These go quickly! The Pine Townhome with Washer and Dryer: $1,150/mo. Easy Living at the Heart of it All!